What is high blood pressure or hypertension? Causes? Reasons? The blood pressure is measured in the account of how much blood is passing through your blood vessels and the amount of resistance the blood meets while the heart is pumping. The time when your blood pressure increases to unhealthy levels there is an occurrence of high blood pressure or hypertension. Narrow arteries increase the resistance of the blood flow throughout the body. The thickness of the arteries and the density of your blood determine the blood pressure. Over the long term, high blood pressure can cause several health issues, including major brain and heart dysfunction. High blood pressure or Hypertension is quite common nowadays and it typically develops in course of several years. In fact, it’s expected that in America nearly 50% of adults get affected with this condition. It is a silent killer and can cause damage to your blood vessels and organs, especially the brain, heart, eyes, and kidneys. 1 What causes high blood pressure? Research has not been able to show what mechanisms cause blood pressure to slowly increase. There are two types of hypertension. Each type has a different cause. Genes: Some people are predisposed to hypertension by family inheritance. This may be from genetic orientation carried from parents or any mutations. Physical changes: If something in your body changes, you may begin experiencing issues throughout your body elevating the blood pressure. Environment: Being obese can increase your risk of hypertension. Unhealthy lifestyle choices where there is lack of physical activity and poor diet can take a toll on your body. Diagnosis is simple and done by checking the blood pressure reading. Generally, doctors check blood pressure as part of a routine visit. Regular blood pressure readings can help you and your doctor notices any changes. If your result is a high blood pressure then your doctor calls for the routine check-up of the blood pressure over a few weeks. This is to see if the number stays elevated or falls back to normal levels. In case if you don’t get to know your reading then request one blood pressure reading at your next appointment. There has to be evidence of a sustained problem. Sometimes the anxiety you feel by being at the doctor’s chamber can contribute to increased blood pressure. Also, blood pressure levels change throughout the day. If your reports are still unclear, more tests are to be done to detect underlying conditions. These tests are the urine test, cholesterol screening and other blood tests, electrocardiogram (EKG, sometimes referred to as an ECG) and ultrasound of your heart or kidneys. These tests enable them to identify any secondary issues aggravating the blood pressure. If there is any effect on your organs because of which high blood pressure has increased. For example, the changes in your kidney function due to ageing may upset the body’s natural balance of salts and fluid causing your body’s blood pressure to increase. 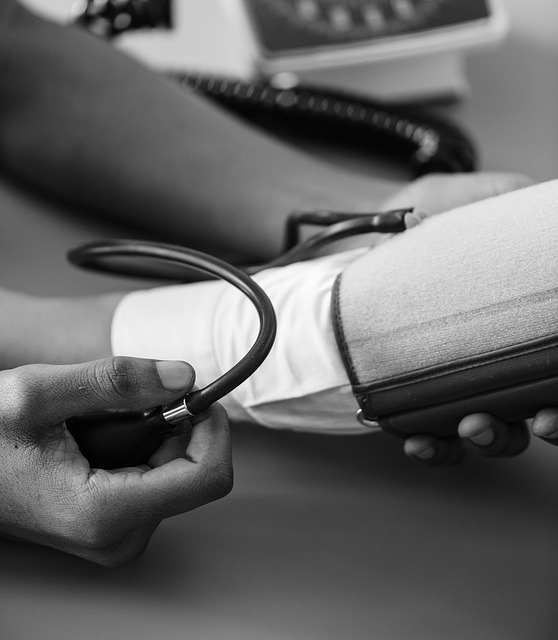 According to the type of hypertension you have and what causes have been identified help your doctor determine the best treatment option for you. Obviously, early detection and treatment are important for reducing your risk of lasting damage with constant aid. It includes both prescription medication and healthy lifestyle changes. It could lead to massive health issues of heart attack and stroke if not treated. If your doctor diagnoses you with primary hypertension, lifestyle changes may reduce your high blood pressure along with medication. For secondary hypertension, if your doctor discovers an underlying issue causing your hypertension, treatment will focus on that condition. Despite treatment for the underlying cause hypertension persist in few cases. Treatment plans for hypertension often evolve. What worked at first might change later. Your doctor will continue to refine your treatment. Beta-blockers reduce the amount of blood pumped through your arteries with each beat, also blocks certain hormones that can raise your blood pressure. Diuretics also called water pills enables kidneys to remove excess sodium from your body through urine helping to lower your blood pressure. ACE (angiotensin-converting enzyme) inhibitors prevent the body from producing as much of this chemical responsible for tightening of vessels and arteries and reduces blood pressure. Angiotensin II receptor blockers (ARBs) block angiotensin from binding with receptors. That helps relax vessels and lower blood pressure. Calcium channel blockers block some of the calcium from entering the cardiac muscles of your heart. This leads to less forceful heartbeats and a lower blood pressure causing them to relax and further lowering blood pressure. Alpha-2 agonists change the nerve impulses that cause blood vessels to tighten helping blood vessels to relax and reduce blood pressure. Lowering high blood pressure requires a heart-healthy diet. At the same time managing hypertension under control reduces the risk of complications. If you are obese, employing this heart-healthy diet and increased physical activity is utmost necessary. A heart-healthy diet emphasizes foods inclusive of fruits & vegetables, whole grains, lean proteins like fish. Being more physically active decreases blood pressure and strengthens the cardiovascular system. Working out for 150 minutes each week is ideal. Exercise is a great way to manage stress. These are all proven stress-reducing techniques combined with adequate sleep. If you’re a smoker, try to quit. Tobacco smoke damages the body’s tissues and hardens blood vessel walls. If you have an alcohol dependency, seek help to reduce the amount you drink or stop altogether. Alcohol raises blood pressure.